"Healthy" and "Waffles" have never before been linked together! I am happy to believe it could be so! Thank you so much for hosting. Have a fantastic weekend! hi Amanda! thanks so much for hosting. enjoy your weekend. happy birthday to your mom! Thanks so much for hosting - the pumpkin spice cake looks divine.. I may actually have to try backing from scratch instead of a box!! Thanks for hosting! The cheese sticks look sooo scrumptious ...yum! I would love for you to join me at my link party-WhateverWednesday. Hope to see you there. Amanda! This week's collection of recipe ideas was awesome. Thank you for a great week of inspiration. Thank you also for hosting the link party! I linked up the story of me backing into a car this week. Our car. I thought it was kind of funny. My husband did not. Thanks for hosting the party. Have a good weekend, and don't park behind me! This week, you really had a ton of great tips and recipes. I can't wait to try Panko Cheese Sticks!!! Just wanted to say Happy Fall, Amanda! Thank you so much for hosting these link parties. 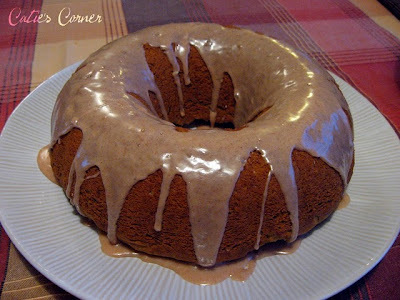 I'm loved browsing other people's blogs and possibly, possibly may attempt another recipe. I love your blog and appreciate all you do! Loved the series! Took away so many wonderful tips and recipes. Have a great weekend!! It is raining here today - all cloudy and damp - that chicken tortilla soup is looking pretty yummy and a good way to celebrate the first day of fall. wow! there's already so many great posts linked up!! my weekend reading :) i have to try that stuffed potato casserole-yum! The Family Friendly Food party was a great idea for a link party. I am trying to do better with meal planning, shopping better etc. So great timing. Thanks for hosting! Hi Amanda! Geesh...that cake looks so good, I wish I had a piece now! I feel like it's some sort of accomplishment that I actually have something worth linking this week. Thanks so much for hosting this great party each week, Amanda. I love being a part of it. Those mozzarella sticks look so good...drooling here! Thanks for featuring me, Amanda! I was excited to see my soup there! Thanks for hosting! It's so fun to see all the crafty ideas and drool over the delicious looking food! thanks for hosting Amanda. I'm linking up this time sharing my new yard sale chair. Off to read some of the other links now, hope you're having a good weekend! Kudos on all the great posts this week! I have 3 marked to come back and read since it's been a crazy week! Can't wait to read your take on saving money and groceries! Thanks, as always, for the linky party! Hope all is well with you - happy fall! I was out of town most of last week and missed a lot of blog reading. 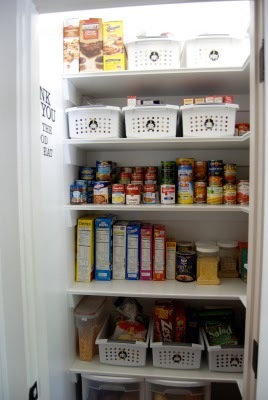 . . so I never even knew that you featured my pantry organization post! I'm sorry I never said thank you--I can't even begin to express how much I appreciate it. There are so many, many, many blogs now that my statistics are all over the place. Some days I get lots of hits but very few comments. Other times I get several comments but relatively few page views. I don't even begin to understand it all, but I do know that being featured on a bigger blog is so valuable! You are really kind. One of my favorite things about you is that you practice what you preach. You're the BEST example of courtesy and kindness in blogging. I appreciate you!